What is the Central/West H.S. Festival? Hockey Night in Boston will hold our first annual Central/West H.S. Festival from June 21st to June 23rd at the Worcester Ice Center (Worcester, MA) for qualified varsity HS players entering their Junior, Senior or PG year in the Fall of 2019. This weekend festival provides the opportunity to compete against Prep and High School talent from all over Central Massachusetts and parts of Connecticut and New York, get exposure to Prep and Junior coaches, and play some summer hockey! 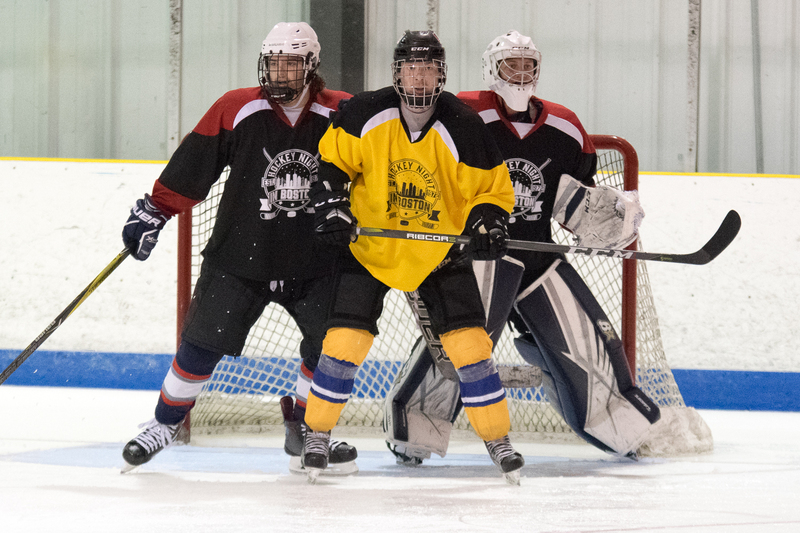 This festival will give players entering their JR, SR, or PG year the opportunity to be chosen to play in the historic 45th Annual HNIB Boys Major Summer Showcase which will be held at the Haverhill Valley Forum from July 24th – July 28th, 2019. HNIB will be pre-selecting players prior to the Festival to make up the core of several Major teams. HNIB will then select 45-50 players from this Festival to complete those rosters, as well as compliment other rosters in the Boys Major Showcase. To request more information about the Central/West H.S. Festival or to determine if you’re eligible to play, fill out this form. Where is the Central/West H.S. Festival? The Central/West H.S. 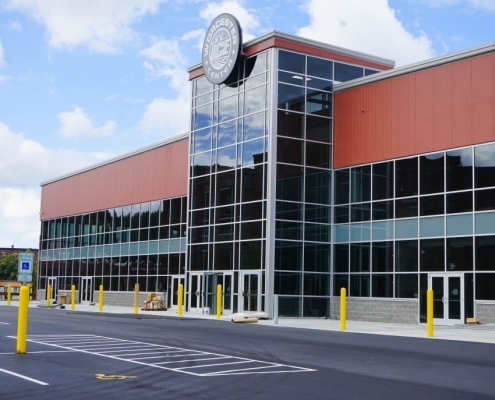 Festival will take place at the new Fidelity Bank Worcester Ice Center in Worcester, MA. The Fidelity Bank Worcester Ice Center is home to many teams, ranging from Pro-hockey all the way down to youth programs. The Teams that play here are Worcester Blades, Worcester State University, Becker Men’s Ice Hockey, Becker Women’s Ice Hockey,Worcester Academy , Saint Peter Marian , Junior Crusaders, Lady Crusaders, and Junior Railers. The Worcester Railers use the Fidelity Bank Worcester Ice Center as their practice facility. Nonna’s, Steam Energy Cafe, Peak Fitness, and Reliant Medical Group are all located here in the Fidelity Bank Worcester Ice Center. In order to register for the Central/West H.S. Festival, you must be a MALE player entering your Junior, Senior, or PG* year in the FALL of 2019. U-20 PG players at a Junior program or an accredited Prep school are eligible. If you are from outside the area, but would prefer to play in this event because of your schedule, please reach out to us to approve it before registering. You can pay with a Credit/Debit card, or choose the “Pay by check” option. If you select “Pay by check”, you must mail a $200 deposit by check or money order as soon as possible to complete your registration. Make the check/money order out to Hockey Night in Boston and mail to the address listed below. The Central Mass. HS Festival will consist of four total games from Friday through Sunday (each team plays 4 games in all). Every game has three 18-minute periods (stop-time). On Sunday, the 2 top teams will go face to face to determine the Festival champion. There are no refunds after May 15th, 2019. Refunds requested between April 1st, 2019 and May 15th, 2019 are subject to a $50.00 administrative fee. All refund requests must be sent either by email to hnibinfo@comcast.net, or in writing and sent to the HNIB office at 654 South Union St. #2, Lawrence, MA 01843. If a player is not accepted into the High School Festival, their fee will be refunded in full. For those needing to stay overnight, HNIB has joined a partnership with Pse Event Housing to bring you special rate deals with some of the local hotels. You can view the available hotel options and book your room by visiting the following link, https://pse.tournamenthotels.com/pse/Event/3069, or by calling Pse’s Customer Service line at 1-888-417-6446. The form below is NOT a registration form. If you want to register for an event, click here to determine which event you are eligible for. Please enter the primary contact's email address as this will be one of the primary methods of contact regarding this information request. Please let us know which event(s) you are interested in.